Brain injuries are exceedingly complex, which makes treatment and rehabilitation difficult in many cases. 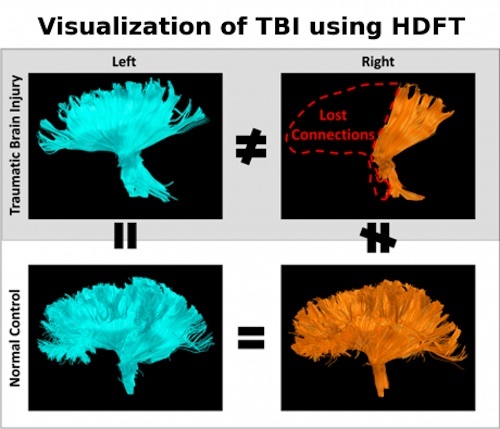 Researchers at the University of Pittsburgh have reported using a new imaging technique called High-Definition Fiber Tracking (HDFT) to identify the disrupted neural pathways (paths made up of brain cells that communicate with one another) in patients with traumatic brain injury. 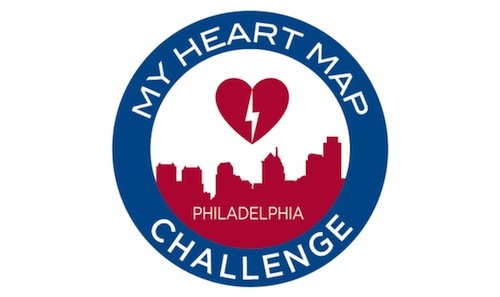 Scientific research and studies that will advance the understanding of medicine often require patients to undergo vital statistic monitoring, including measurement and recording of heart rate, activity level, and respirations. However, monitoring such vital statistics has historically required that study participants agree to frequent office visits, or else wear large and cumbersome monitoring devices. 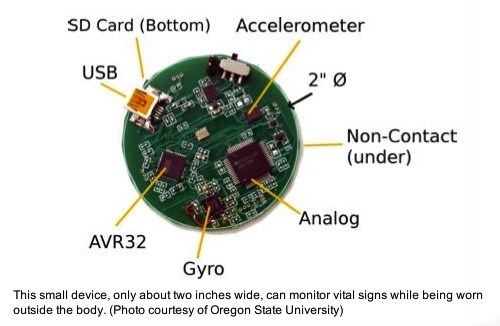 Researchers at Oregon State University and the University of California at San Diego have designed a miniature vital statistics monitor that is not only small — it’s about two inches wide — and inexpensive to make, but is also capable of monitoring vitals from inside a pocket. Vital statistics monitors like this one may make large-scale medical studies easier on participants and less expensive for labs to run, speeding the pace of health discovery and innovation.